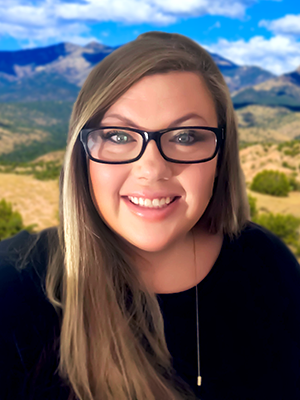 Ashley White, an Associate Broker of West Wood Realty, has a commitment to New Mexico. As a lifelong resident as well as a mother of two boys, she recognizes the importance of growth and stability in our state. She provides quality service in her real estate practice, with knowledge and skills expressly focused on the local market. Ashley grew up on a cow/calf ranch operation in northern New Mexico and has been actively involved in agriculture her whole life. As a member of both 4-H and FFA, she exhibited steers and pigs and served as State FFA Vice President. Her knowledge and connections in the agricultural field help her evaluate varied aspects of farm and ranch operations, which is significant when communicating with the property seller and prospective buyer. With over 10 years of experience in the real estate business, she understands many different types of real property and can help facilitate transactions big or small. She enjoys spending time with her family, cooking, and photography.